Content filtering allows certain e-mails to go straight into a spam folder. Content filtering is the automated process of classifying incoming mail as spam or legitimate mail. 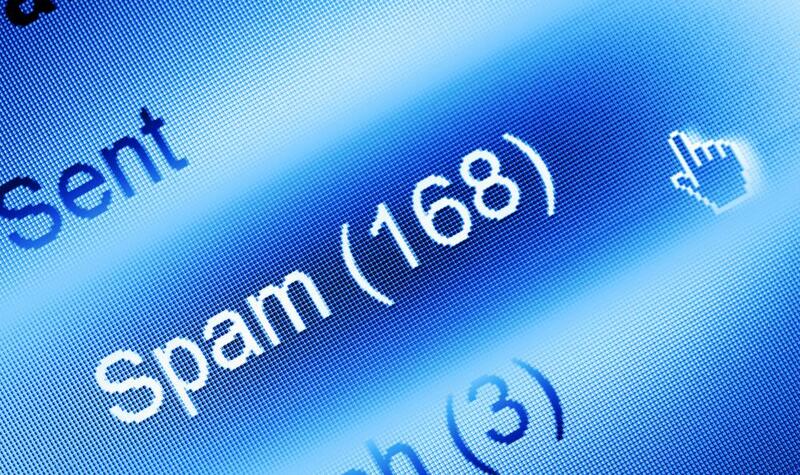 Spam is unsolicited, unwanted junk mail, often originating from 'untraceable' sources sent out in mass-mailings. This process can take place on a mailserver, a personal computer, or both. If it is done on a home or office computer, legitimate mail can be further classified for personal purposes, according to desire. A mailserver that runs a spam filter has the built-in ability to reject mail based on various parameters such as keywords, originating addresses, or other header information. Many mailservers run some type of content filtering software, but often this isn't enough to keep spam at bay. Mailserver spam filters have to be somewhat general, comparatively speaking, to account for a customer base. Personal content filtering can be extremely specific. The most popular type of software for this process uses the Bayesian method. In this case, the software that performs the content filtering is "trained" by the user to accept or reject mail. This is referred to as "intelligent" filtering. The software logs parameters based on mail rejected, and runs statistical analysis on incoming mail to see if the probability exists that the new mail is spam. When the program gets it wrong, it's easy for the user to correct the mistake by taking an action such as clicking a "Keep" button or moving rejected mail to the accepted folder. Conversely, if spam slips through, a "Spam" button or equivalent action can correct the mistake. The program updates its parameters for future instances. Soon the program requires little to no user intervention. The Bayesian method allows each user to customize content filtering according to his or her needs. What is spam to one person might be of interest to another. Intelligent content filtering also allows the user to change his or her definition of spam. For example, while shopping for particular items online, one might be interested in receiving offers or information. After purchases are made, however, these offers can become bothersome -- especially when they are still arriving weeks and months later. With local running content filtering software, one can accept the offers initially, and after the purchases, train the software to reject all such mail. Aside from simply filtering out spam, advanced content filtering can also perform functions such as sorting legitimate incoming mail into different folders, copying mail, or assigning mail of certain types custom colors. All family mail might be in red, while a subscribed newsletter could be assigned green. With a glance at the colors, one can tell what kind of mail is in the inbox. How Do I Choose the Best Open Source Content Filter? What Is a Millipore Filter? How do I Choose the Best Exchange Spam Filter? @Fa5t3r - Schools have to be so careful with their internet content filters. Every school I've taught in has basically told me I have to watch every screen all the time because the students can bypass the filter without even trying. I met a teacher a few weeks ago who told me she basically won't have a computer in her classroom because it was too easy for the students to get past her security. @croydon - Generally, if something is that important I think the person will either send it again or contact you in some other way. No one is going to send important letters solely by email. And, besides, in my experience, most of the time they only delete the obvious spam and dangerous emails, and they store all the marginal ones in a spam folder so you can double check. My only bad experience with this was when I was at high school and their web content filter would do something weird with the incoming mail so that you couldn't read it properly and might think it was spam, when it was really a legitimate letter. It's really important to be aware of the different ways that your mail can be filtered so that you don't lose anything important. You might think your mail provider is doing an excellent job of keeping spam out of your mailbox but if you aren't getting important letters either then it really is failing. As long as you set your email content filter so that it is just going to direct what it thinks is unwanted mail into a separate folder, then you should be OK, as long as you check that folder every now and then. You should also have it set so that it won't open any attachments automatically, in case there is a virus there.